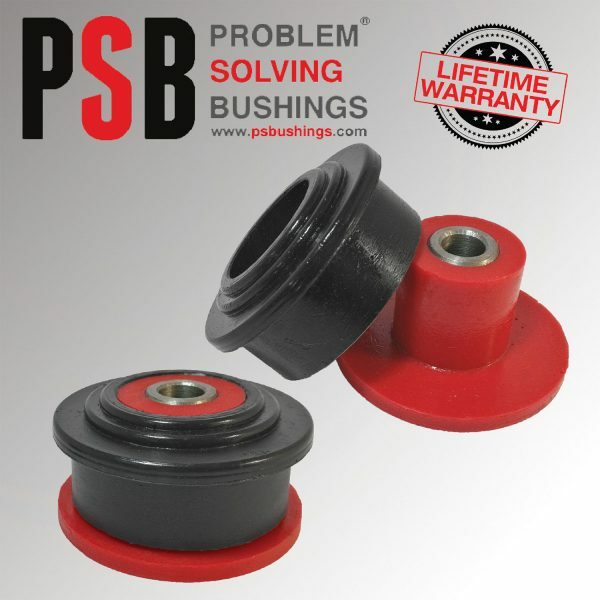 PSB specializes in manufacturing polyurethane “problem solving bushings”. We strive to develop new and innovative products that are not just factory replacement parts, but actually solve many complex and inherent design problems in new vehicle suspensions. 1. 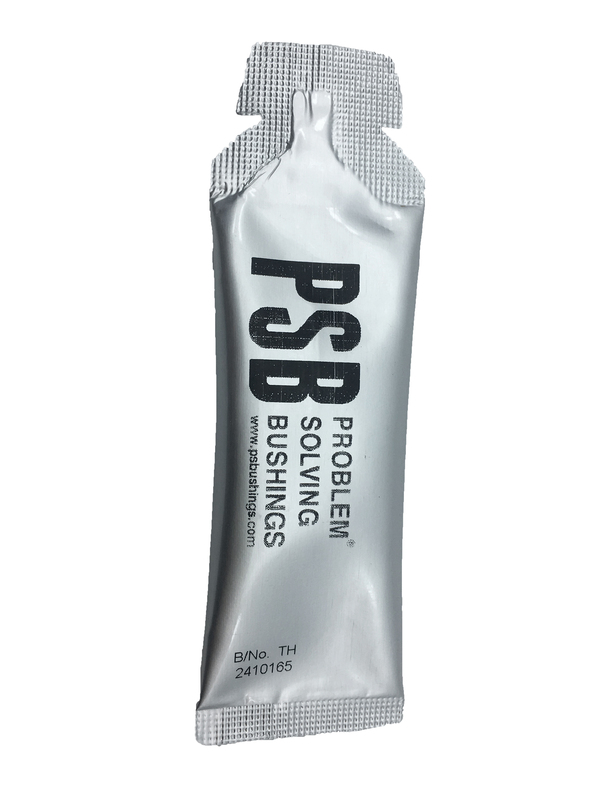 Remove original bushing by pressing out or using a blow torch. 2. Ensure outer metal casing of original rubber is removed, which can be done by cutting with a hacksaw and knocking out with a chisel. 3. 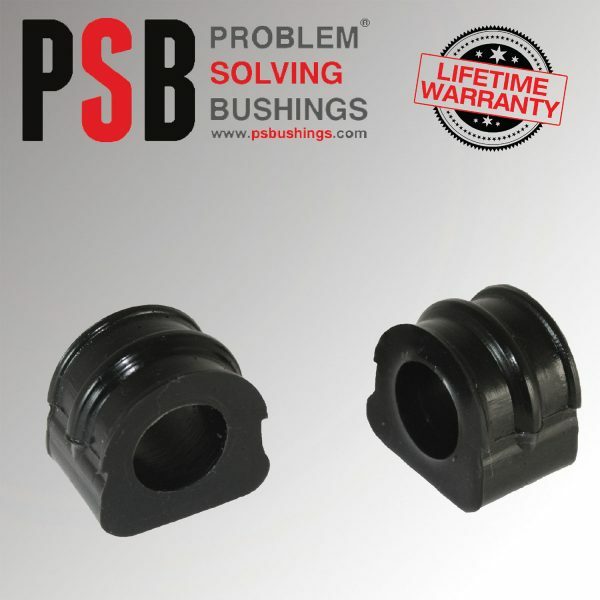 Clean housing with sand paper to remove sharp edges, so not to damage new bushing. 4. Remove metal sleve from new poly bushing. 5. 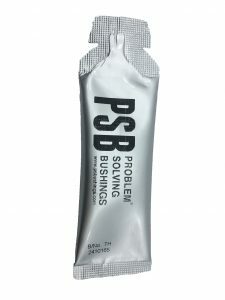 Lubricate inside and outside of poly bushing with a multi-purpose grease. 6. 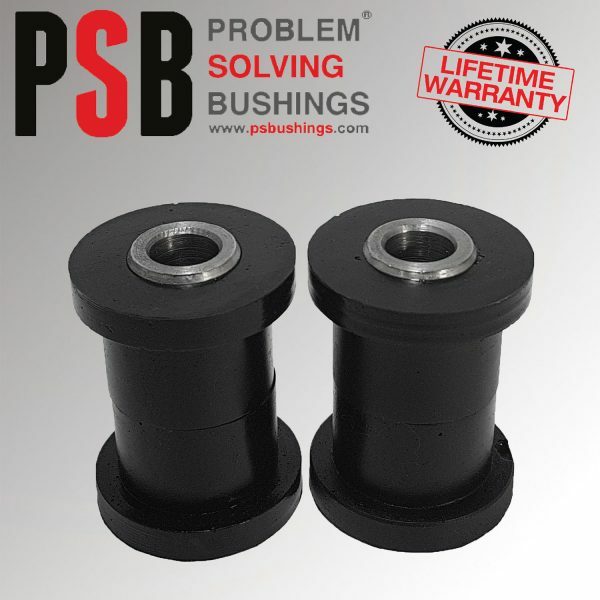 Press two bushing valves into housing (rubber hammer or by hand). 7. 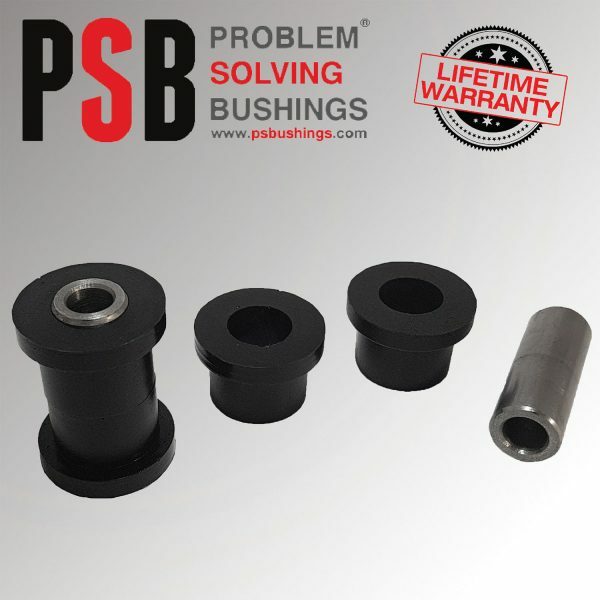 Insert metal sleeve into bushings. 8. The installation is complete.